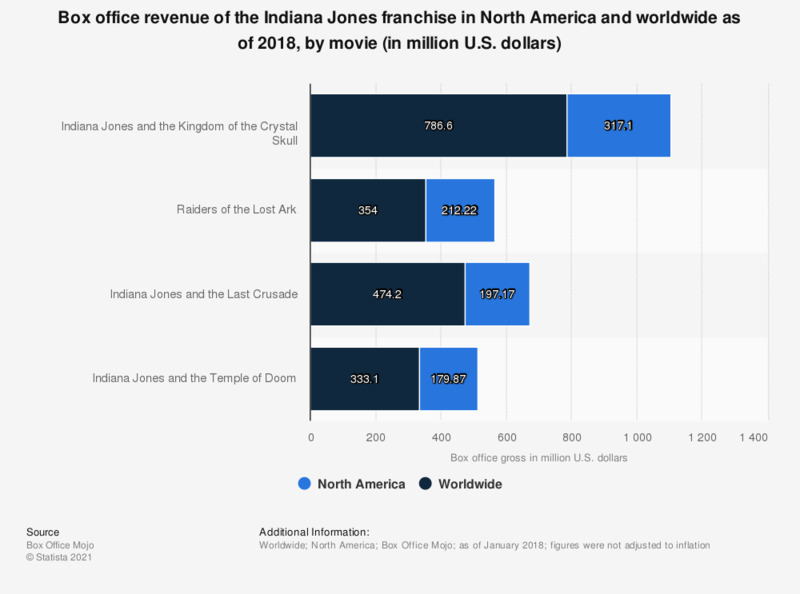 The statistic presents the box office revenue of the Indiana Jones movie franchise in North America and worldwide. As of January 2018, "Raiders of the Lost Ark", the first installment in the series, reached a gross of 212.22 million U.S. dollars in 1,078 cinemas across North America. The source does not provide the publication date; the date of publication used is the the date the information was accessed. Statistics on "Cinema in the Netherlands"
Box office in the U.S.
LGBTQ media in the U.S.
Film industry in the U.S.
Could you be happy without cinema, movies or television?